For the third time in a month, at least 17 Jewish community centers across the US were evacuated after receiving simultaneous bomb threats, according to reports. “I wouldn't be surprised if there weren't more," Goldenberg said, according to the Chicago Tribune. Police say a preschool and an early childhood education center in Boulder, Colorado, were vacated after a bomb threat was received from an automated robocall. Police are investigating a bomb threat @ Boulder Jewish Community Center. All occupants in and around the bldg have been safely evacuated. 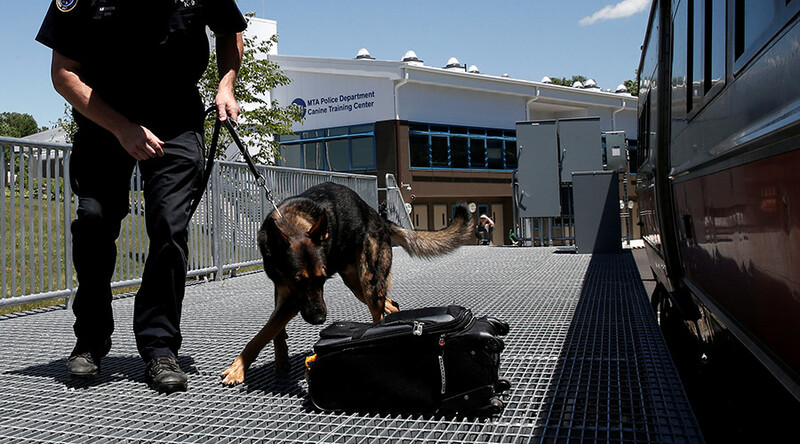 Bomb-sniffing dogs extensively searched the area, but no explosive devices were found. Everyone was cleared from the premises, and no injuries were reported. "Threats like these, unfortunately, have been happening across the country so we were prepared," said Susan Rona, a spokeswoman for the Boulder Jewish Community Center. In Lake Zurich, Illinois, children were moved out from a daycare facility after receiving a bomb threat by telephone. No one was injured, and no explosives were found. Children in Sylvania Township were evacuated after a bomb threat at the YMCA and JCC was called in. Police dogs swept the area and found nothing. In Albany, The Sidney Albert Albany Jewish Community Center was emptied for the second time in two weeks after receiving a call from “somebody who appeared to be a woman,” police said. A recording from the last wave of threats was recently released, which sounds like it was made with technology that disguises the caller’s identity. Many of the centers have been advised to create a security plan and were quick to evacuate. “We have been diligent in looking at our security for a while now,” said Judy Diamondstein, CEO of the New Haven JCC, according to the Jewish Standard. Diamondstein claims that staff at the JCC have prepared for this situation with drills. “These incidents serve as a reminder that preparedness is key to a good response. We commend local law enforcement agencies for investigating and for the ongoing work to ensure the safety of our communities,” Robert Trestan, New England Regional Director of the Anti Defamation League, said on their site. Earlier in the month, 16 Jewish community centers in nine states were evacuated after receiving bomb threats. On January 18, another 27 centers were cleared out after bomb threats were received across 17 states.